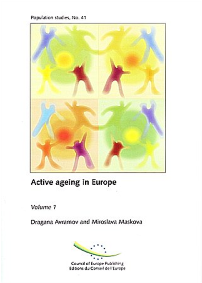 This volume takes as its starting point the changing age structure in European countries, which is characterised by the increase in the number of elderly persons and the decrease in the young and working populations, and reviews the demographic differences between European countries. Improved living conditions and effective health and social policies mean that the majority of elderly Europeans reach the third age in relatively good health and with a certain security of income. However, whilst the actual retirement age has been declining, only a minority of elderly people use their free time actively. The different public policy approaches and individual strategies developed in response to these societal changes are examined and wide-ranging policy proposals for the development of active ageing strategies which address issues of employment, health, leisure and social cohesion are made.